The judges added more spice to the contest with their witty comments alongside their technical feedback on each of the finalists. 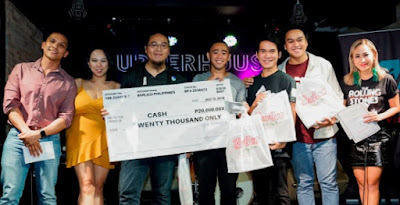 They were talented musician and frontman of Imago, the voice of Jack TV and a VJ from MTV PH - Zach Lucero; DJ, Voice Over Talent, Host and Creative Director - John Hendrix; Finalist from the Voice Season 2, John Mayer of the Philippines – Joniver Robles; Musician, Producer, Artist Manage and frontman of the band Hale – Champ Lui Pio; And finally the only rose among the thorns, the Marketing Head of Barlico Philippines, Ms. May Manuel. The finalists were judged based on the following criteria: Creativity of Product Presentation 30%, Style / Personalization / Improv 35%, Visual Impact + Online Shares 25% and Stage Presence & Audience Impact 10%. 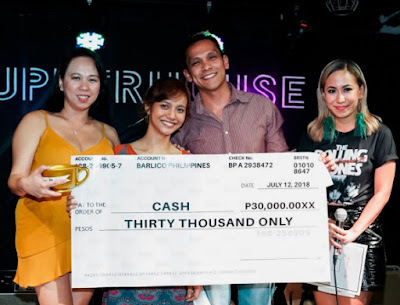 The Grand Prize of PHP30,000 CASH + Barlico Products + a Golden Barlico Mug was awarded to 19 year old singer, song writer Renee Tamara Yadao. The 2nd Place, with PHP20,000 CASH + Barlico Products + a Silver Barlico Mug was awarded to the Alternative Rock Band, One Fourth Apart. 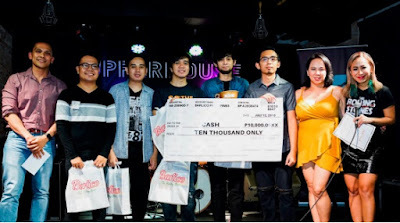 And, the 3rd Place, with PHP10,000 CASH + Barlico Products + a Bronze Barlico Mug went to the band Write Turn. Other participants received Certificates of Participation and Barlico products. The winners were awarded by Barlico CEO Mark Sayarot and the brand’s Marketing Manager, Ms. May Manuel. We would like to acknowledge the participation of MTV PH and Jack TV, our official Media Partners, WhenInManila.com as our Official Digital Media Partner, the Upperhouse at the Brewery at the Fort, BGC as our Venue Partner, Home Radio 97.9, our Official Radio Partner and Official Contest and Event Partner Purple Ink PH.